I visited Enderby in 1995 as part of the DOC Sealion project. The project is still going today. Sadly the most noticeable thing on my return was the much smaller numbers of sealions and pups. It is very saddening to hear from Louise Chilvers (DOC’s sealion biologist) that the population has decreased by 50% in the last 12 years alone. In part because of disease epidemics, but probably also because of other factors such as fishing and climate change which may be having an impact on these remarkable animals. 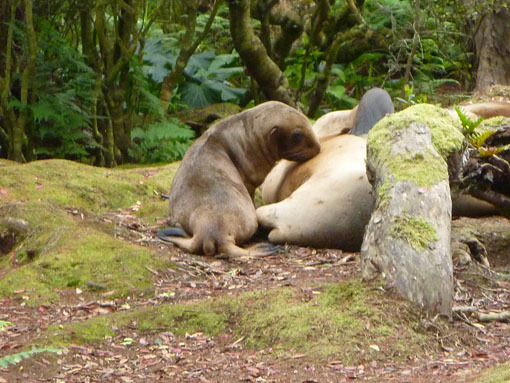 Sea lion pup suckling. Photo Anton van helden. Copyright Te Papa. New Zealand sealions Phocarctos hookeri, are the deepest diving eared seals in the world. They have been recorded to dive to depths in excess of 700m. 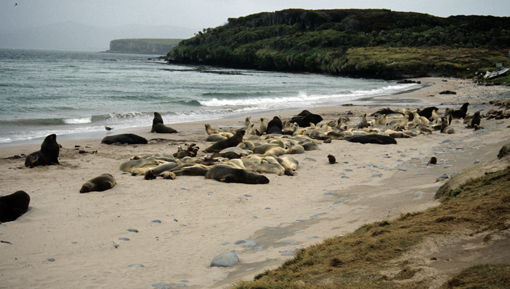 They are sadly, now the rarest sealion in the world, with a population of only about 10,000 animals. The island vegetation has recovered however. After the removal of cattle, rabbits and all other mammalian pest species the undergrowth in the southern Rata forests and the tussock fields that ring the island have bounced back vigourously. 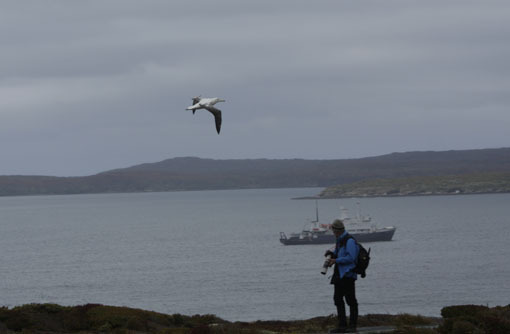 Southern Royal albatross, Auckland Islands. Photo Anton van Helden, copyright Te Papa. 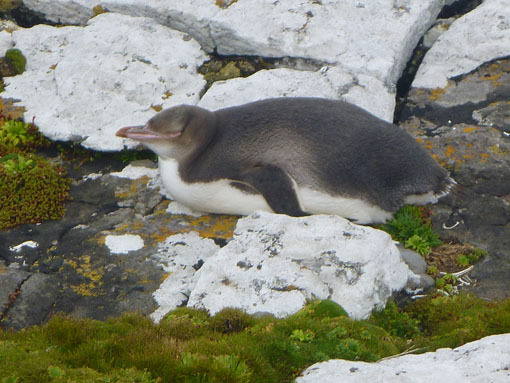 The yellow-eyed penguins seem to be doing well, which is heartening. Yelloweyed penguin. Photo Anton van Helden. Copyright Te Papa. 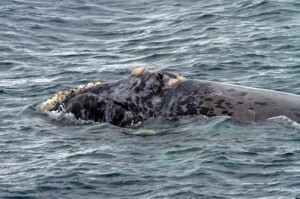 One Southern Right whale was seen, a reminder that in the winter months they come into Port Ross in the Auckland Islands to calve. At nearly 18m these animals feed on tiny swarming crustaceans called Copepods that they sieve through the water with their long baleen. Right whale, Port Ross, Auckland islands. Image WWF. 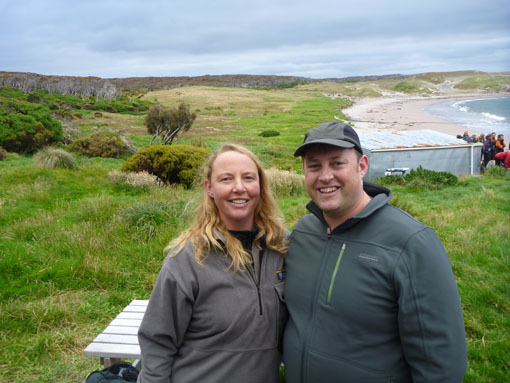 Louise Chilvers and Anton van Helden, Enderby Island. The Te Papa Fish team will be coming down here in the next week or so to investigate the animals that live deep down in the waters around the island.